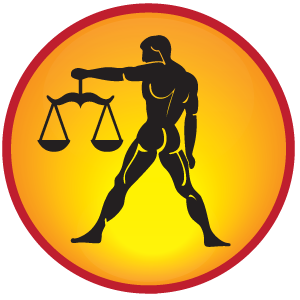 Libra Horoscope for 2012 highlights your relationship, career, health, auspicious happenings, partnership business etc. Unexpected gains will be on the cards for the natives. However, maintaining social status and dignity will be challenging for Libra natives in 2012.Control your tongue to maintain cordial relationship with family members. 2012 is a favorable year for self employed, scientists, scholars, Architects, Interior designers, artists, software personals, Aeronautic engineers etc. Partnership business will also farewell. Try to avoid travels during the month of November and December. Expenses towards health of spouse are certain. Please Note: The Libra Horoscope for 2012 given here are common for the natives of Libra and may differ according to an individual’s birth date and time. For a simplified, accurate & customized 2012 horoscope prediction, get your personalized 2012 yearly horoscope prediction report now. Libra Horoscope for 2012 specifies that the natives should adopt positive thoughts this year. Ailments like head ache; common cold and fever are seen. Digestive disorders, inflammations etc may also trouble you. Relief will be seen after May. Try to avoid unnecessary talks which may lead you to stress and concern. Libra Horoscope for 2012 shows that monetary gains will be seen for the natives during the months of April, May, June, September and October. Gains through siblings, children, partnership business and foreign trade are on the cards. The second half of 2012 will not be much favorable as far as finances are concerned. Libra Horoscope for 2012 indicates that the natives will experience the spring of romance throughout the year. You will fill your hearts with lovely thoughts to share it with your partner while some will find new ways to convey their love to partner. Many natives will tie the nuptial knots to their desired partner before May 2012. Let this New Year bring success and accomplishments!